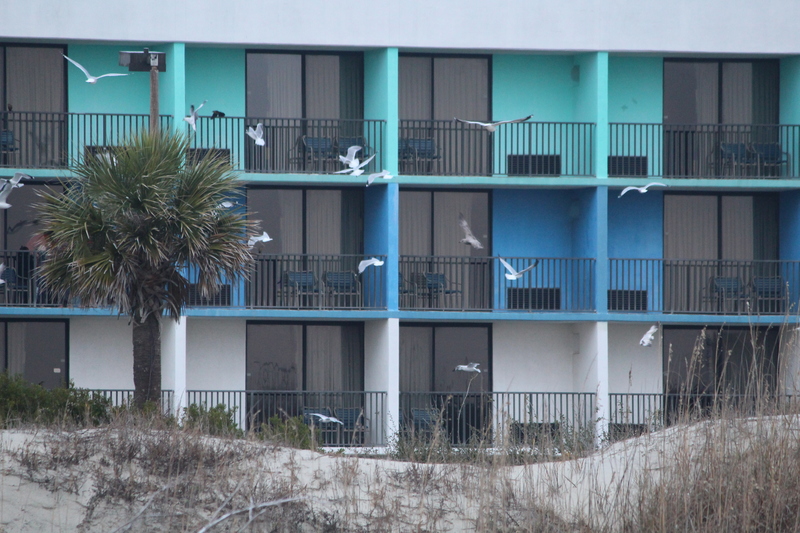 Coasting: The laid-back vibes of Tybee Island | Oh, the Places We See . . . In this first in a series of posts (See Goin’ Coastal) about our side trips to coastal areas in Georgia and Florida headed to the TaxSlayer Bowl in Jacksonville, we’re moving straightforward from Knoxville, Tennessee, toward the lovely, laid-back Tybee Island. What, you say? You didn’t stop in Savannah? Beautiful, stately, historic Savannah? Well, we’ve been to Savannah several times and have officially declared it one of our favorite cities in America. But Tybee? Don’t know much about Tybee. So, we made an unplanned stop by searching TripAdvisor while driving, found an available (and affordable) hotel, and booked a one-night stay. Our only regret — it was almost dark when we arrived in the middle of winter, so not much was “hopnin'”! After a long walk, we literally stumbled upon The Breakfast Club, a smallish, intimate restaurant where we sat at the bar and watched the guys grill anything from French toast to over-easy eggs. 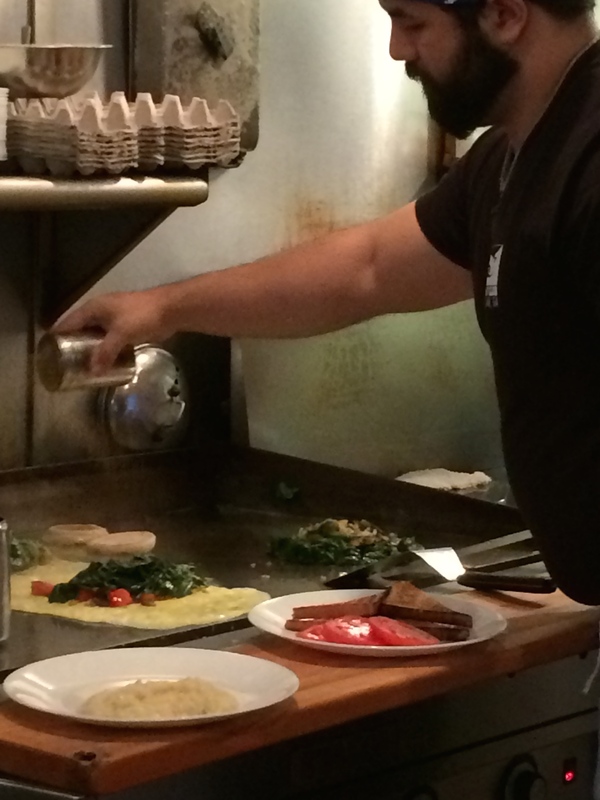 Omelettes are a specialty. Here’s one: Helen’s Solidarity (AKA The Grill Cleaner’s Special) with “diced potatoes, Polish Sausage, green peppers and onions scrambled with 2 eggs, topped with melted Monterey Jack and American cheese.” Or the Popeye Omelette “You’ll fight to da finitch w/gr bf & spinitch, jack chz, toot-toot,” quoting from the menu. We asked our server, Do you guys work out? (Could’t help but notice big guns and svelte waistlines.) Well, yes. Yes, we do, he replied! And then they hammed it up for us when we turned the camera on them. 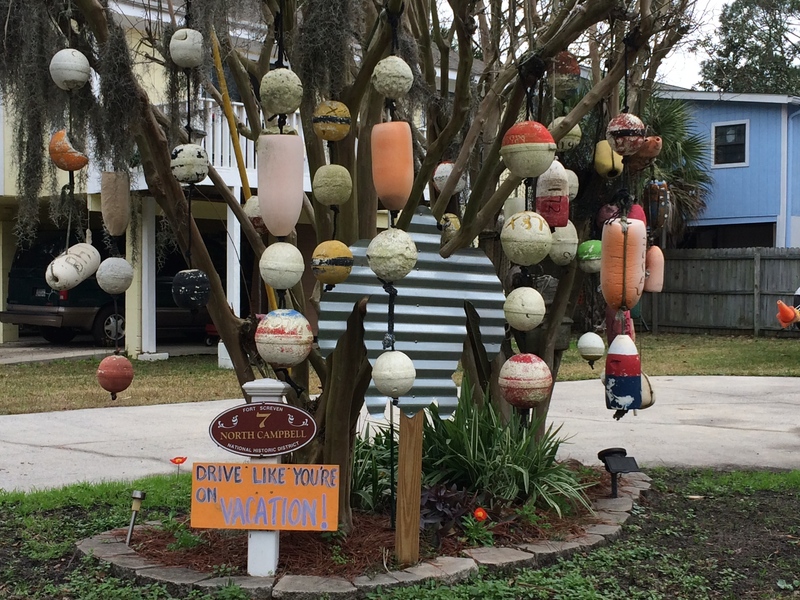 A quick drive through town netted us a glimpse of what people collect — like floats hung as tree ornaments . . .
And old shoes found along the beach. Could be that Tybee is where old hippies live or vacation, so we’re not too far removed from the funk, I guess you could say. So that’s where my shoes went? 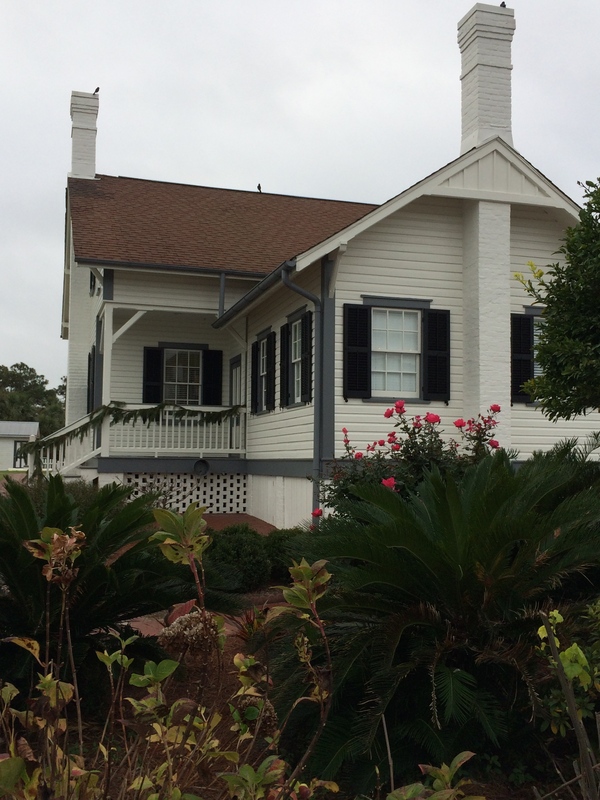 We made one last stop at the Tybee Island Light Station and Museum and stayed awhile. After all, this is one of the finest examples of historic preservation on the coast — or anywhere for that matter — and the Tybee Island Historic Society is to thank for that. We’ve written about the minimalist nature of this lighthouse, constructed in 1916, in a previous post, but there’s so much more here on the grounds. 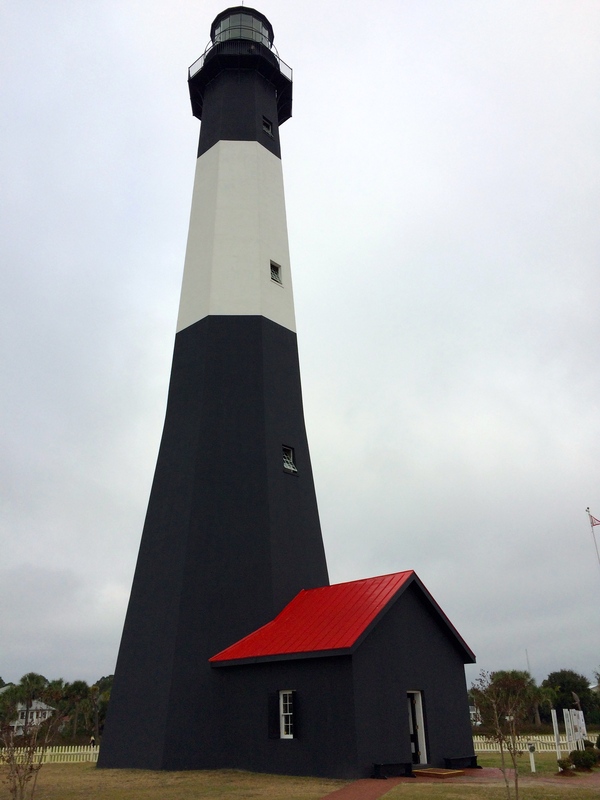 This lighthouse, we came to find out, is not the first beacon on Tybee for seagoing vessels. 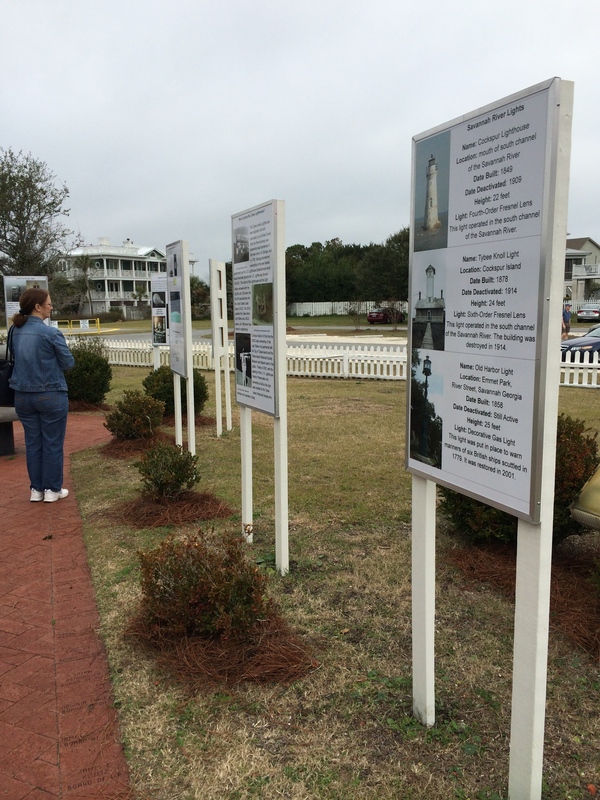 The history of previous lighthouses comes to life in a walkabout area on the grounds — clearly outlined by the Historic Society. Several houses with period furnishings and detailed accounts of their former and present use are open for exploring. 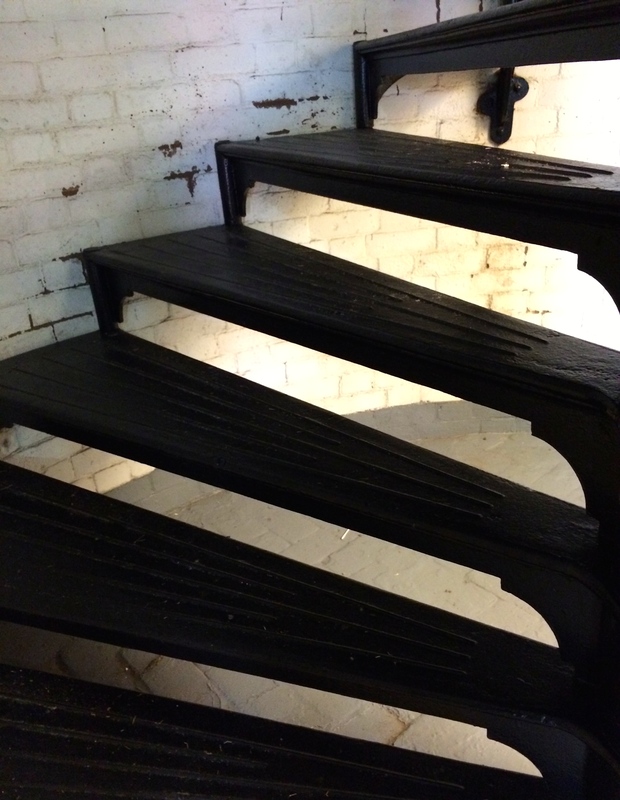 And you can climb the 178 stairs to the top to see the nine-foot tall First Order Presnel Lens, a reward for all that huffing and puffing. Only 178 steps to go . . .
Across the street lies Battery Garland of Fort Screven constructed around 1898 and 1899. 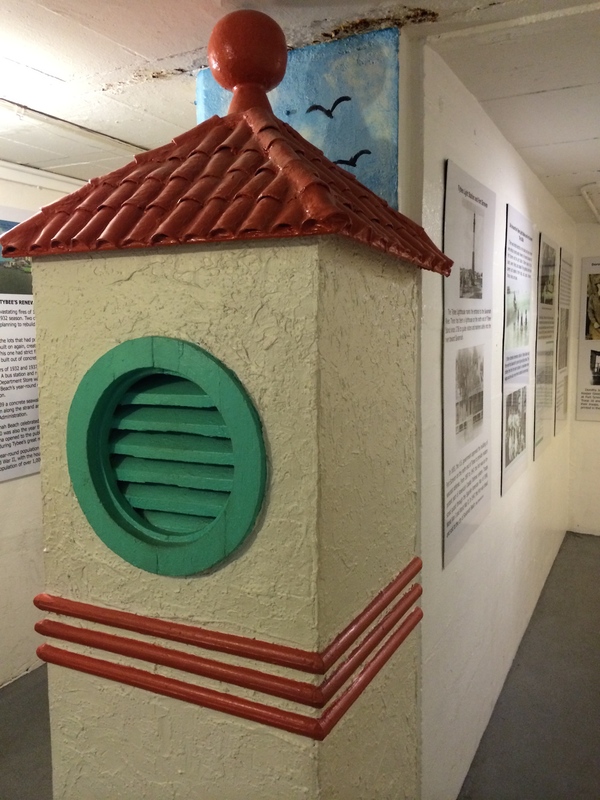 Inside Battery Garland are seven rooms dedicated to the displays of artifacts and exhibits known as the Tybee Museum. Definitely worth a trip. 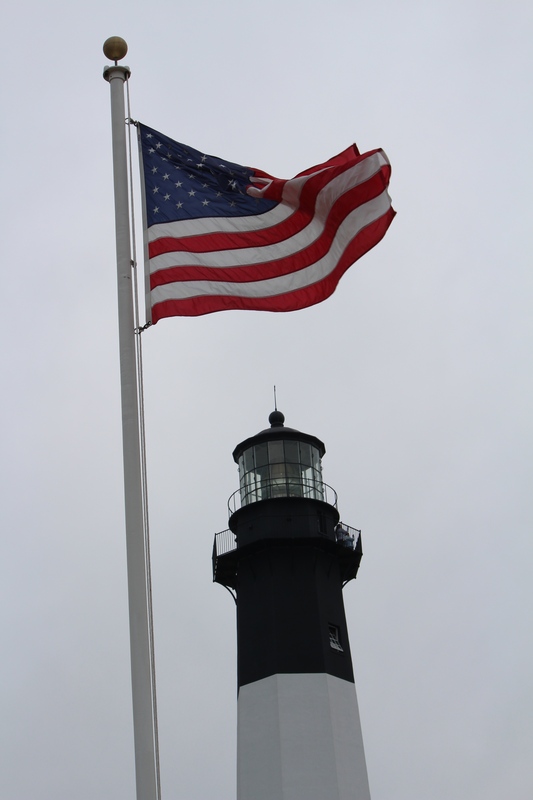 With the capstone visit to Tybee Lighthouse, our short tour of Tybee Island came to a close. But our takeaways remain with us. And there’s more to see if you have more than one day, of course. Have you been to Tybee Island? If so, let us know what you enjoyed. It’s great to go coasting! This entry was posted in Coasting, Georgia and tagged Battery Garland, Breakfast Club, coasting, ExploreGeorgia, Joseph Richardson, Stingray's, Tybee Island, Tybee Island Lighthouse. Bookmark the permalink. 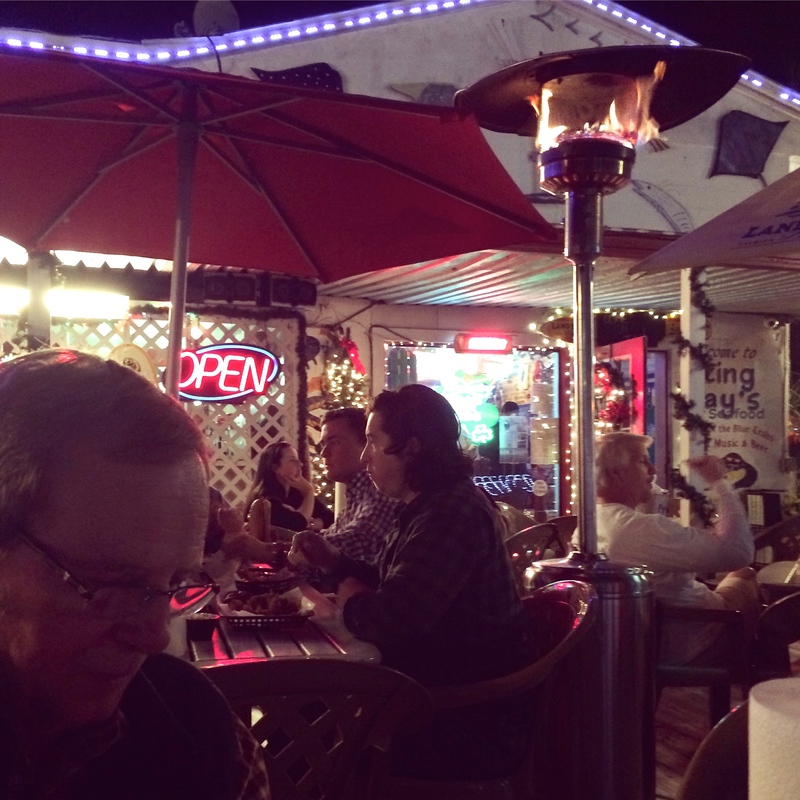 Really enjoyed this post about Tybee! Thanks for taking a look — both at the post and the pictures of Tybee. I’d love to spend about three days roaming around. 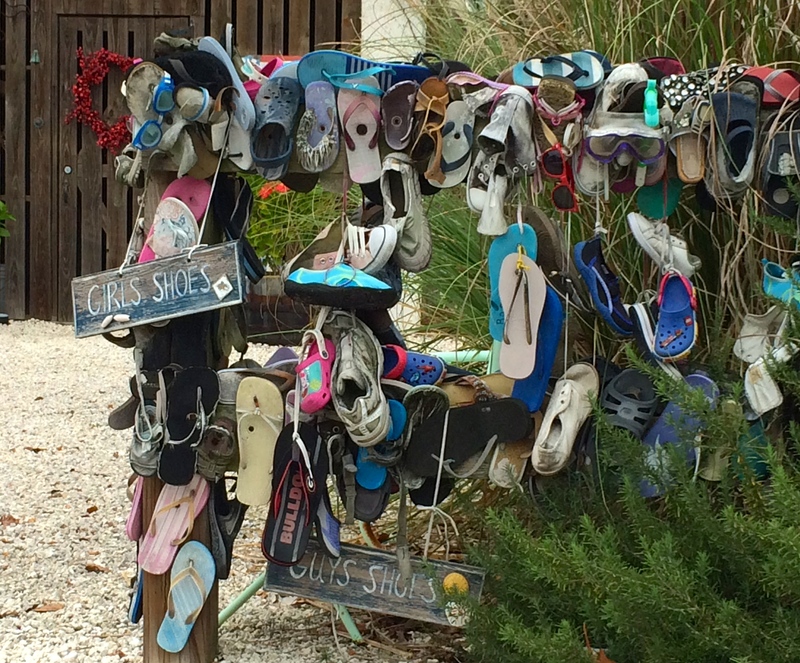 If we can find a fence filled with flip-flops, there’s no tellin’ what else is out there!!!! You can do all that on the West Coast, too. We just haven’t been there much. I guess I need to buy a lottery ticket! Looks like you get to visit some pretty neat places:) I’d love to look around those period homes, that’s just the sort of thing I’d go for on holidays! Barbara, we are fortunate to be able to travel, but we do so on a budget. And when we travel for business, we combine it with pleasure side trips. You’d love the period homes in Tybee, but the ones in Savannah are absolutely beyond compare — except maybe in Charleston. No matter where you go, though, there are homes to see, right? 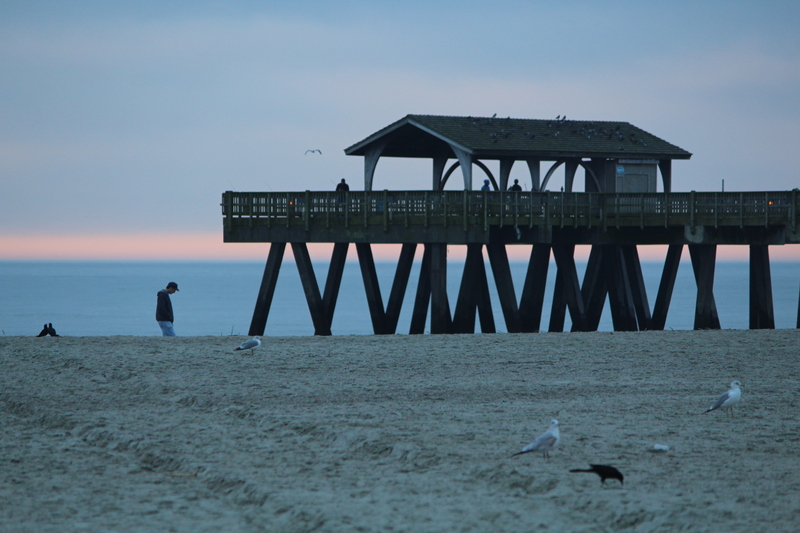 Beautiful photos of the Tybee island! Thank you for the tour, Rusha! Thanks, Amy. You are always so kind to comment. We’d love to take another tour, of course. But, for now, memories and pictures will have to take us away from this awful winter weather we’re having! Thanks so much, Linda. 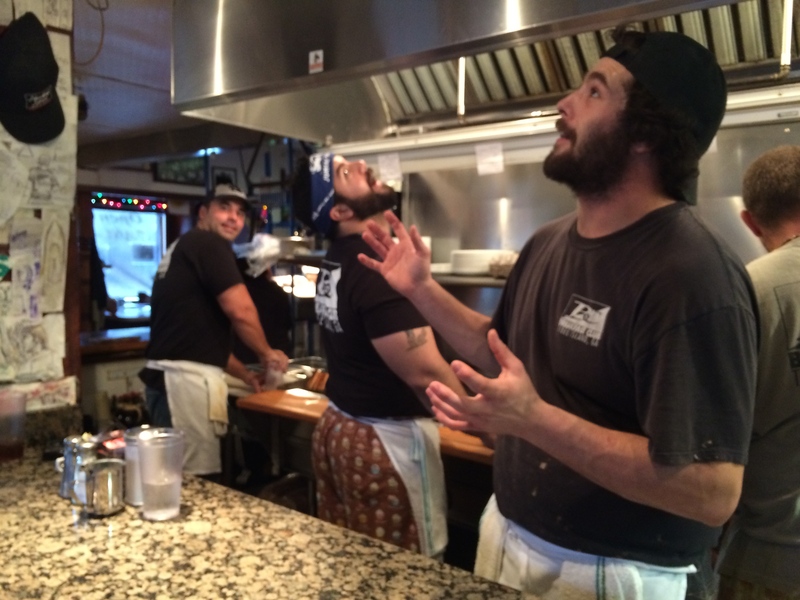 It’s a fun place — and I might go back just to get another omelette!! I so want to explore more of the US and Tybee is exactly the type of place we’d love. I’m drooling at all the photos of the fabulous restaurants! It’s fun and kinda hippie in its feel. But affordable and family-friendly. I can see why so many people go there — a contrast to Savannah, for sure. Delightful post! Love the many photos to flesh out the commentary. In visiting, I’m learning so much about “the other US.” Inspiring for future travels. Thanks for the nice comment! It’s hard for us to believe that we hadn’t been to the beaches we decided to check out along the way. We may have come to a conclusion: there reallly isn’t such a thing as a bad beach!! !